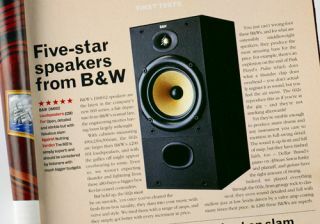 That Was Then... B&W DM602 review | What Hi-Fi? 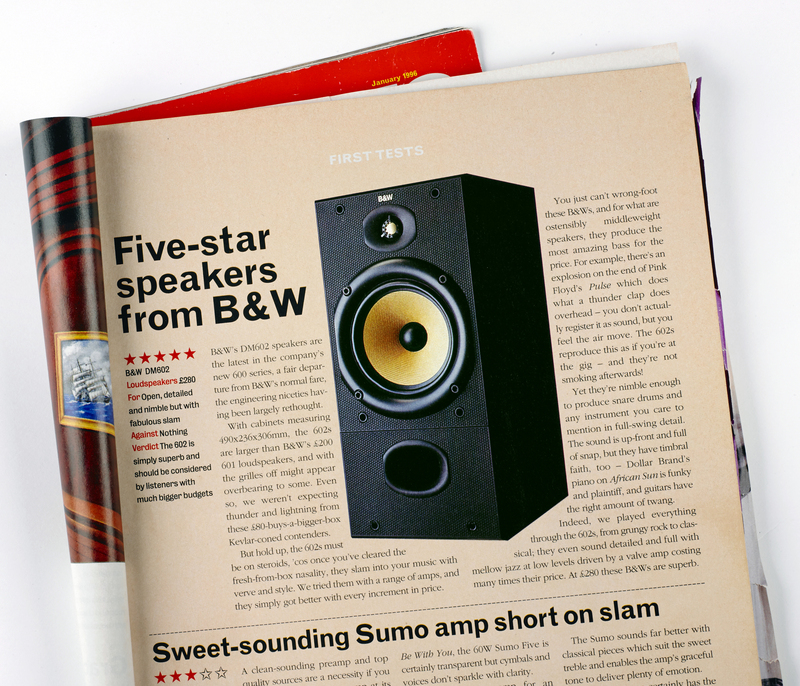 Talk to senior members of B&W’s engineering staff about their favourite products and it doesn’t take long for the DM602s to be mentioned. For many, these standmounters remain the company’s defining affordable model. If you read the above review – click here to open a bigger version of the above page in a new window – you’ll find out that there’s something about the combination of big cabinet – 49cm high – and generously sized Kevlar mid/bass driver that just worked, brilliantly. B&W believes a speaker of this stature wouldn’t sell in today’s market, but is fully aware of the sonic benefits of a bigger design. So, it has reworked the formula and the result is the B&W 685 S2.The DM602’s influence is readily apparent. The 685s are among the largest standmounters at the price and enjoy the benefits of extra low-end extension, wide ranging dynamics and sonic authority over the smaller competition. While having a generous internal volume the newer speaker looks more compact in appearance, gaining much of its volume from an increase of cabinet depth. The combination of largish Kevlar mid/bass and metal dome tweeter stays untouched, though both units are designed in line with the company’s current thinking.